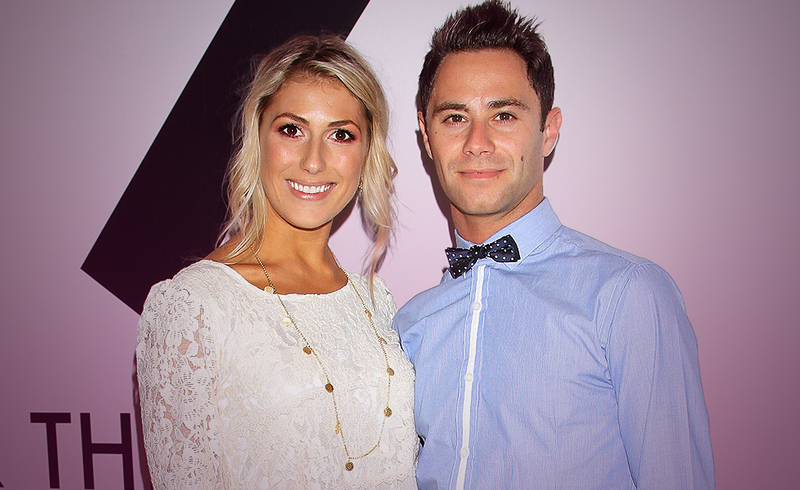 Little did we know when Emma Slater and Sasha Farber swept across the dancefloor during Tuesday night`s results show, apart from the fact that once you started watching them dance to the rhythm of their love, you got lost in the sensation, just as if you were part of it all. And yet, if this wasn`t enough to charm the audience, they were in for an even more special treat – and so was Emma. After they stopped their sensual duet, Sasha did the most romantic thing ever: he lowered himself onto one knee, just like the gentleman that he is, and asked his true love to marry him, with the great hit “Just the way you are” by Bruno Mars playing in the background. Of course, there were a few clues as to the whole crew at Dancing with the Stars was indeed involved in this romantic proposal, like the comment of the famous host, Tom Bergeron: “First of all, you guys have great chemistry, and Sasha, I’ve always thought you had the potential to actually host so I’m going to give the show over to you.” Not to mention the confetti that miraculously started to fill the room, showering down at the happy newly-engaged couple. It seems like they will be dancing on their wedding shortly, but what do the cards say? Ace of Cups: The best omen this lovely couple could get. This card represents passion, love, and what`s even more, pregnancy and motherhood. Although they are at the beginning of this exciting journey, it seems like they are heading in the right direction towards a marriage filled with happiness and maybe even one or two little Sasha and/or Emma. Would they inherit their parents` genes and passion for music? Temperance: Just as every couple, they will have to juggle work and their relationship, finding a balance between the two. Sharing the same hobby definitely helps, but still their love is truly amazing and will get them through even difficult times. Patience is also key here, so even though the breath-taking proposal was much welcomed, and Sasha admitted that he had been waiting for this for a very long time, he might have to wait just a little bit more to hear the sound of wedding bells.